Size Choose Size Large 42-44"Medium 38 -40"Small 34-36"XL 46-48"
Look like you've just been washed ashore to find some buried treasure in this complete and great looking Pirate Man Fancy Dress Costume. 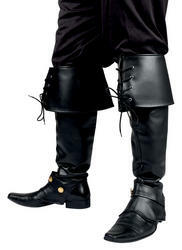 The pirate costume includes everything you need to play the part including a white shirt with billowing sleeves, a red waistcoat, a pair of brown trousers, a pair of black boot covers and a red belt which ties around the middle. Finishing the look is a wide brimmed black pirates hat! 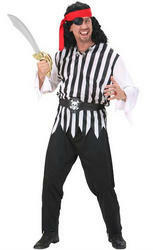 A brilliant all in one costume that will see you through a pirate or book themed event. 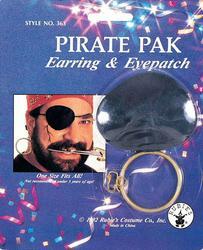 Great easy choice for a 'P' themed fancy dress party!